In New Orleans as in Rio de Janeiro, Mardi Gras is a grand celebration of parades, street parties and energetic performances. At Disneyland, Mardi Gras celebrations are more muted but just as fun-filled in a family friendly sort of way. New Orleans Square at Disneyland Park in Anaheim is Ground Zero for Mardi Gras festivities. The event is billed as Bayou Bash with special menu items drinks and entertainment slated for the period that, in years past, were scheduled for several weekends preceding Lent. This year, the New Orleans Bayou Bash returns on February 17. As in the past, Prince Naveen, Princess Tiana and other pageant-bedecked characters, including Mickey and Minnie, will present special performances followed by meet-and-greet sessions with the characters. Beloved Disney characters, including Goofy, Donald Duck, Pluto and Chip ‘n Dale will join the audience interaction sessions in full Mardi Gras regalia. To make the most of your Disneyland visit for the Mardi Gras festivities, make sure to stay close to the action. 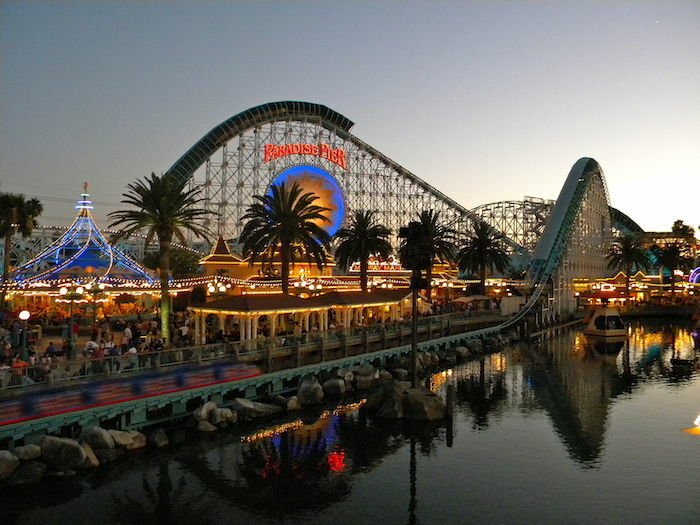 The Anaheim Express Inn Maingate is strategically located close to Disneyland, so you can walk to the park if you wish. It is a newly-renovated facility with free Wi-Fi access for guests. Other amenities include an outdoor pool, a jacuzzi and comfortable rooms that are perfect for unwinding after a long day of Mardi Gras partying. Anaheim Express Inn Maingate takes pride in the fact that guests get the most bang for their buck with our affordable rates. The special event rate for Mardi Gras revelers will be $89 for standard occupancy. Reservations are recommended, so call or click now and start practicing your dance moves for the Mardi Gras party at Disneyland.